An ongoing AP investigation has uncovered that global grocer supply chains are connected to slave-peeled shrimp. Major chains such as Wal-Mart and Red Lobster receive shrimp products that are the result of forced labor. The working conditions of these laborers is deplorable. Many poor migrant workers and underage children are force to peel shrimp for 16 hours a day. One worker named Eae Hpaw, aged 16, was interviewed by the AP about the grueling hours. As she answered questions, the reporter noticed scars up and down her arms which were caused by shrimp-related infections and allergies. "They didn't let us rest," said Hpaw. "We stopped working around 7 in the evening. We would take a shower and sleep. Then we would start again around 3 in the morning." Human trafficking has run rampant in Thailand despite continued promises of reform by businesses and governments alike. This low-cost, unethical labor has resulted in Thailand becoming one of the biggest shrimp providers in the world, reported the AP. Currently, the seafood export industry in Thailand is worth $7 billion. The market is largely powered by corrupt authorities and wide-reaching complicity. When arrests and raids do occur undocumented workers are usually punished, owners of these shrimp-peeling sheds remain unscathed, explained the source. Former workers report peeling up to 175 pounds of shrimp each day for a daily wage of $4. While this forced-labor shrimp ends up in many major supply chains, it is hard to determine where and exactly how much. According to United Nations and U.S. standards any supply chain that has even minimal traces of this shrimp is deemed to be connected to slavery, reported the AP. U.S. customs records traced this forced-labor shrimp and found many major brands had some connection. Whole Foods, Dollar General, Red Lobster, Wal-Mart, Petco and Olive Garden were among the retailers connected to supply chain shrimp originating in Thailand. Earlier this year, the same AP investigation led to an internal investigation of supply chain practices by Nestle. 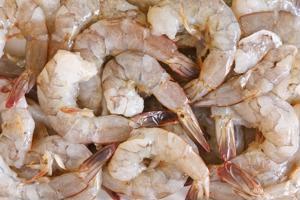 The company confirmed the reports of forced-labor shrimp in its Fancy Feast products. According to Undercurrent News, Nestle responded by releasing a six-page action plan titled "Responsible Sourcing of Seafood - Thailand." The initiative will seek to improve supplier relationships within Nestle's supply chains. Some of the action items include training for workers and increased educational initiatives for boat captains. Additionally the company plans to form an emergency response team who will be dedicated to dealing with reports of labor abuses. Other businesses connected to the AP investigation were quick to speak out against the abuses. Red Lobster, the world's largest seafood restaurant chain, was very vocal about its commitment to ethical sourcing. "As the world's largest seafood restaurant, we know the important role we play in setting and ensuring compliance with seafood industry standards, and we're committed to doing our part to make sure the seafood we buy and serve is sourced in a way that is ethical, responsible and sustainable," said the company in a statement, according to the AP. Thailand has passed laws in 2015 to address these persistent problems. However, many critics believe that these legislative actions are merely for show. The U.S. State Department's new Anti-Trafficking Ambassador Susan Coppedge believes this has a lot to do with a lack of accountability. While the US hasn't punished Thailand in any major ways, Coppedge encourages consumers to "speak through their wallets" and try to avoid slave-produced products whenever possible, reported the AP.